The 2018 Hong Kong Autumn Electronics Fair was held at the Hong Kong Convention and Exhibition Center on Oct 13 to 16, 2018. As the forefront and wind indicator of electronic industry, the exhibition was crowded and popular as usually. 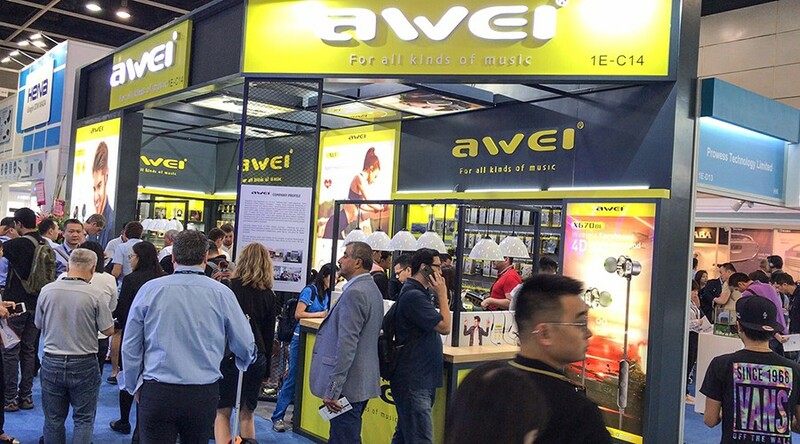 As a well-known intelligent headset brand at home and abroad, AWEI has made a brilliant performance once again. With its strong R&D and innovation strength, lots of new products on display have attracted many domestic and foreign merchants to visit and negotiate. AWEI is based in China and global. In the booth decoration design, it integrates the consistent dominant hue of the black and yellow fashion style. 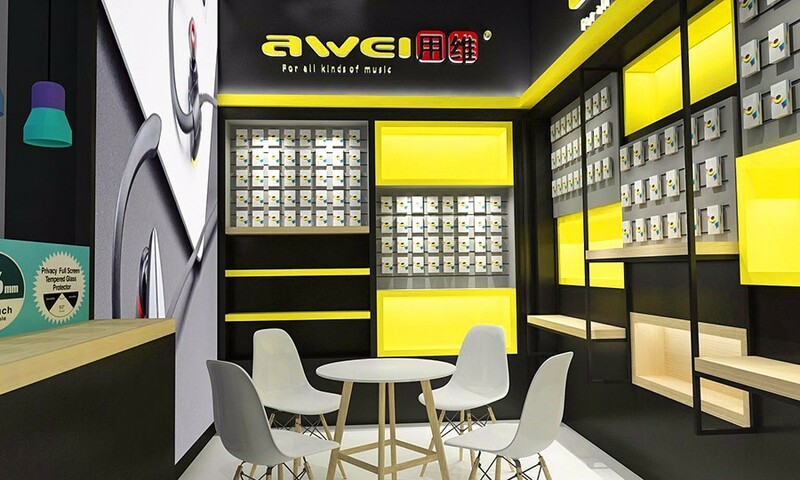 The overall exhibition hall is stylish, concise and high standard with a sense of science and technology, embodying the charm of AWEI as a well-known brand in the industry once again. 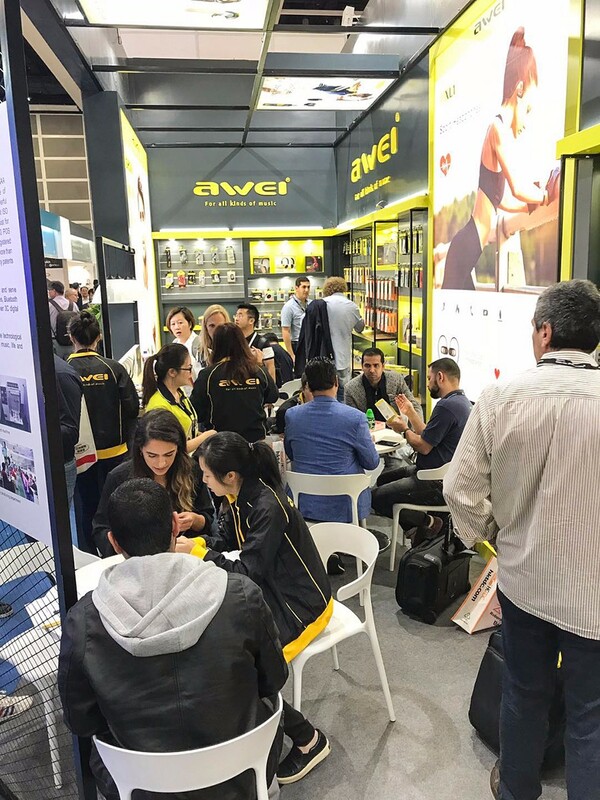 The atmosphere at the exhibition was active that many professionals and buyers at home and abroad came to the boot of AWEI for visiting, inquiry and negotiation. 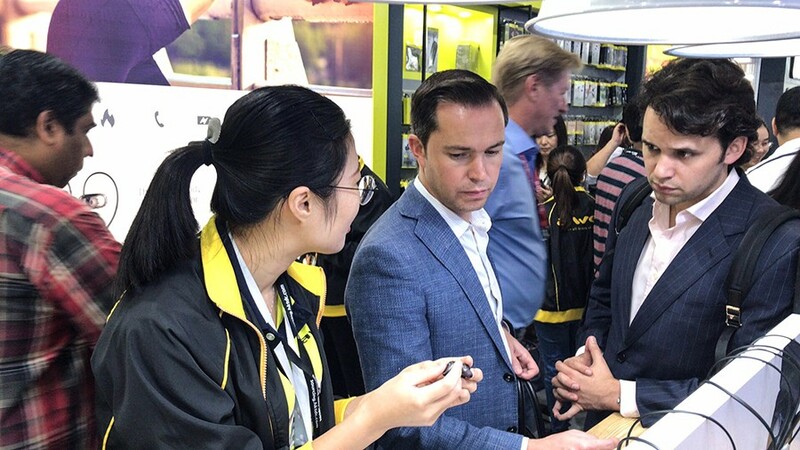 The exhibition staff of our company warmly received the visiting vistors, answer all kinds of questions carefully and introduce the advantages of our products and technologies in detail on the market. Many merchants have a strong interest in our innovative products and have reached much long-term cooperation intention with our company. 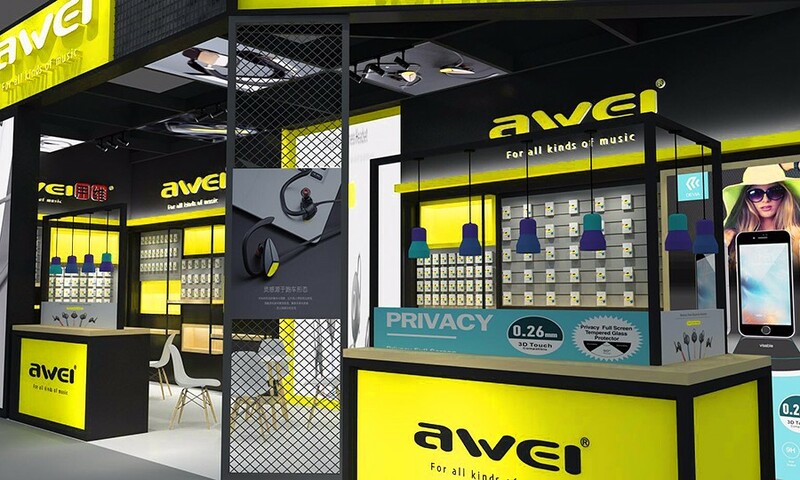 A series of new products that independently researched, designed, produced by AWEI were also appeared in the fair, attracting numerous merchants to linger, observe and negotiate: good-looking and comfortable sports Bluetooth headset; vibrant and cool bluetooth speaker; Qi wireless fast chargerfull of sense of technology and fashion; Power bank with large capacity of 20000mAh. These products are externally and internally endowed with beauty, fashion, technology and intelligence. 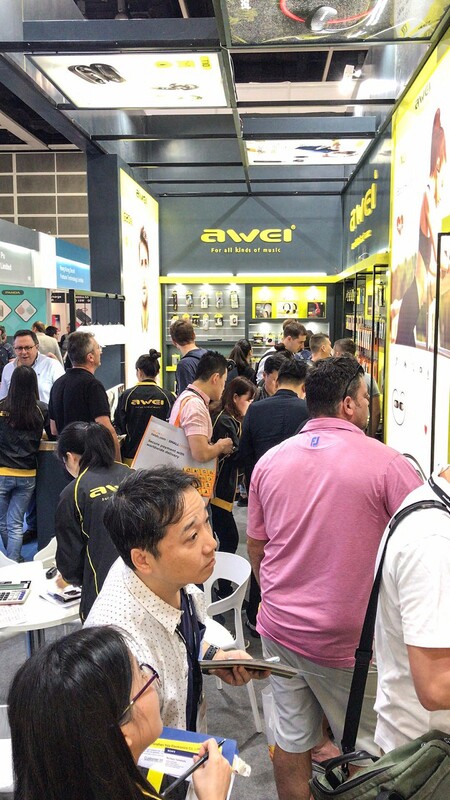 The end of the 2018 Hong Kong Autumn Electronics Fair is not the end, but a beginning of another new journey for AWEI. 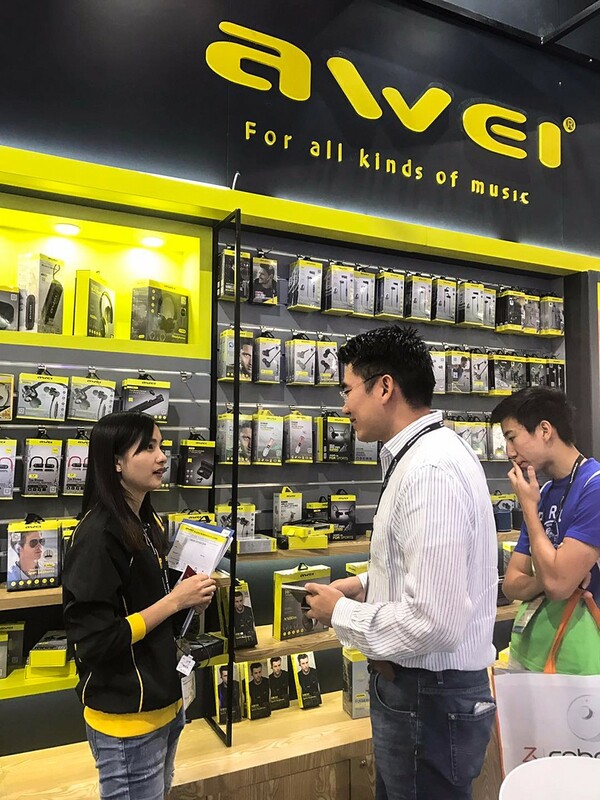 From Hong Kong Electronics Fair to Global Sources Fair, AWEI has once again shown the unique charm in the field of audio products with its high-quality and cutting-edge innovation. 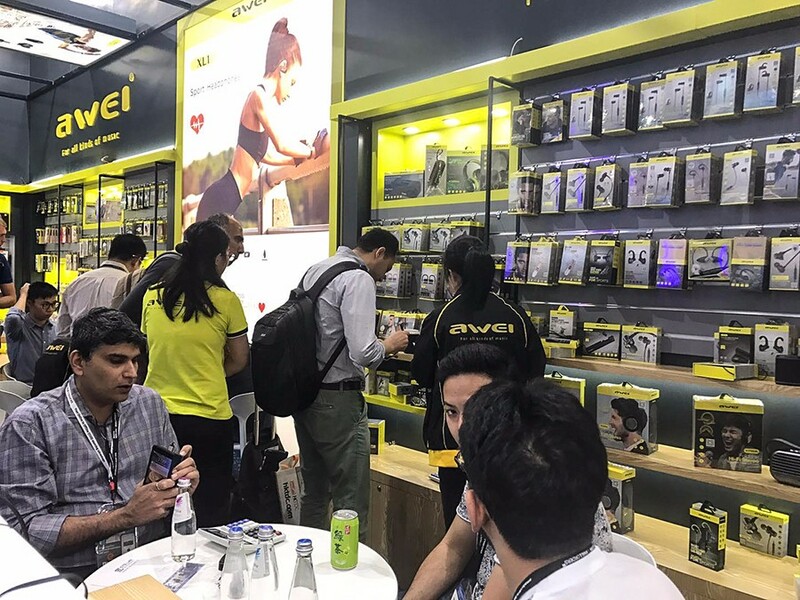 As the brand influence of AWEI continues to grow and the internationalization process deepens, the global strategy of AWEI will enter a new stage of development. 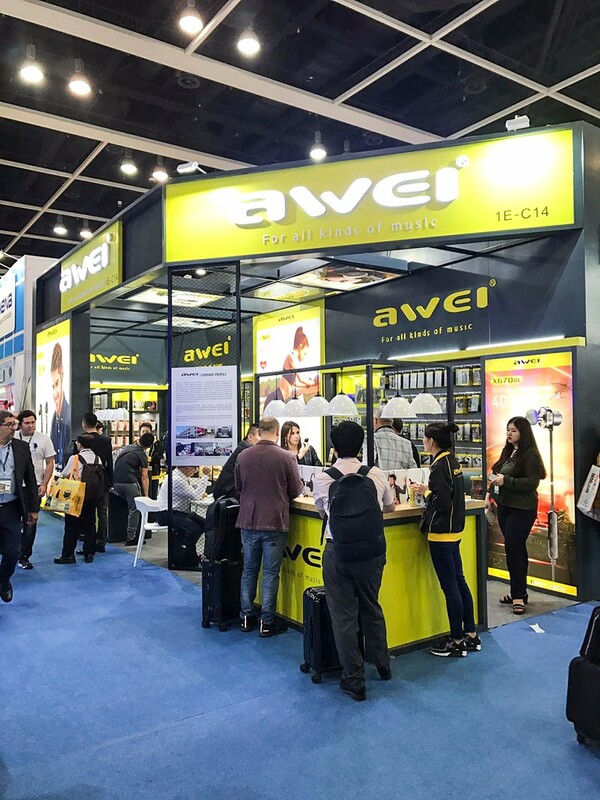 After reaping bumper harvest from the 2018 Hong Kong Autumn Electronics Fair, AWEI was also invited to participate in the second phase of 2018 Hong Kong Global Sources Autumn Fair. AWEI will show its strong brand influence and cutting-edge research and innovation to the world once again.